The essence of short form content. How is short form filmic content distinct from long form filmic content? 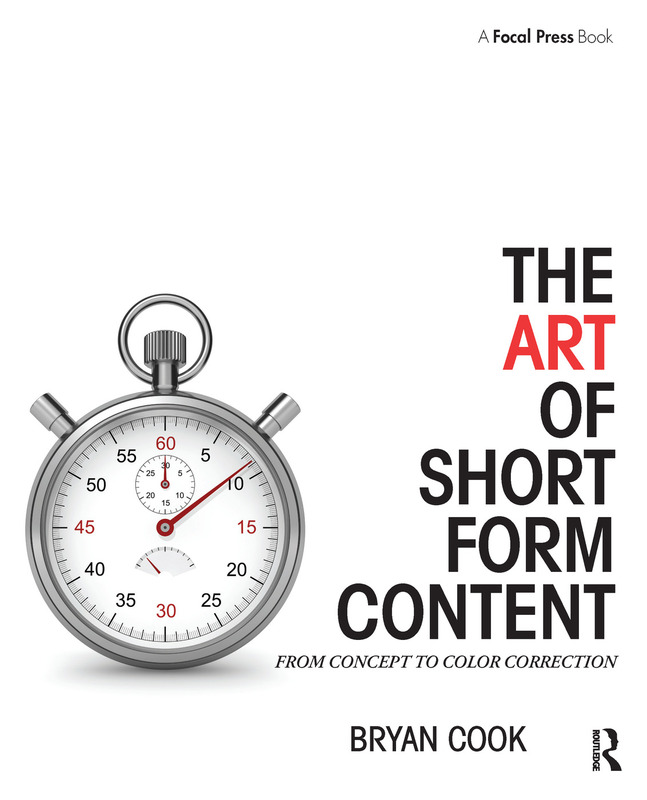 Short form content’s connection to advertising. The importance of evoking emotions in short form. How to shape perception and motivate action with short form content. Interview with Frank Hahn, Group Creative Director at 72andSunny. Images and narrative information ("The Five Ws"). The importance of motion for short form. Using imagery to attract attention. Using imagery to evoke an emotional response. Interview with Gentleman Scholar, AICE award winning directing duo. The importance of structure in short form editorial. The beginning, middle and end and how each section works in short form. The importance of explicitly separating new ideas and concepts in short form editorial. What makes an individual edit work? Interview with Josh Bodnar, Emmy Award Winning Editor from Whitehouse Post. Music and the emotional state of the characters on screen. Selecting music that doesn’t distract from the narrative. Using music to generate structure and signal transitions. Interviewees include Zach Hemsey, Composer for Trailers and Feature Films; Gabe McDonough, Executive Producer at MAS - Music and Strategy. Diegetic sound effects and the creation of reality in short form. Non-diegetic sound effects and establishing mood. Using sound effects to motivate transitions. Interview with Bryan Jerden, sound designer for Trailers and Feature Films. Using visual effects to hide an edit point or transmit factual information. How effects can be used to offer the viewer insights into the psychological state of the characters on screen. Using effects to create a stylistic vocabulary. Interview with Neil Gust, AICE winning editor and sound designer. The basics of color correction and balancing an image. Using color correction to quickly guide the viewer’s eye around the frame. Using color correction to evoke an emotional response in the viewer. Interview with Jean-Clément Soret, Global Creative Director of Color Grading at MPC. Bryan Cook is currently the Executive Content Producer and Director of Multimedia at Team One Advertising in Los Angeles. Over the course of Bryan's fifteen year career as an Editor and Post Producer, he has partnered with many of the best ad agencies, networks and production shops in the world, and projects he has worked on have been honored by Ad Age, Adweek, Cannes, The Effie Awards, The Facebook Awards, FWA, The Golden Trailer Awards, and the Tribeca Film Festival.